On Thursday, May 17, 2018, Dalton Taylor entered through the gates of Heaven to be with his Lord, Savior and Creator, Jesus Christ, after a long and courageous battle with Parkinson's Disease. Dalton was born in Gradyville, KY on February 5, 1938. He was preceded in death by his parents, Annilee and Durard Taylor, from Kentucky. 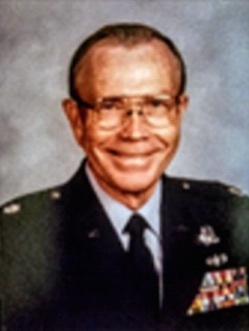 Colonel Taylor dedicated his life to serving God, his family, and as a decorated veteran and hero, served his country, which he loved so much, 33 years in the US Air Force. Colonel Taylor enlisted in the Air Force in San Antonio, in 1955, completing his Basic Training at Lackland Air Force Base. Colonel Taylor then began his career as a pilot, upon completing flight school. Colonel Taylor served his country through two tours during the Vietnam War flying B-52 Bombers. He continued his career in significant leadership posts, commanding positions in Aviation, Military Intelligence, Training & Instruction, stationed at Castle AFB, Washington DC, Hickam AFB Hawaii, which most notably culminated to a distinguished position and honor; as a United Nations Joint Services Armistice Affairs, Political & Military Liaison Officer, at Yongsan Army Post, Seoul Korea. There he served as a liaison and negotiator on the DMZ, between South Korea and North Korea. Colonel Taylor later returned to San Antonio to serve at Kelly AFB at the US Air Force distinguished Electronic Security Command. Colonel Taylor retired from the Air Force in 1989, and later continued to serve his country by passing on his knowledge, expertise and passion for this country and freedom, by developing young people to carry the torch for this country. He dedicated his remaining years by beginning two High School ROTC programs in Bakersfield, CA and most recent at Oak Ridge HS in Houston, TX. He has touched numerous lives through is life lessons and mantra of "Duty, Honor, Country". He inspired, motivated and educated hundreds of young people to believe in themselves, achieve dreams through education and give back to this country he loved so much. He is survived by his devoted and loving wife, Yadira Taylor through who her own illness, never wavered in her love and devotion to him. She never left his side, to ensure his comfort, as they cared for each other through ongoing illness', she ensured his last wishes were honored through the end, bringing him home to San Antonio, where he first began his life and love of military service, surrounded by his family, died peacefully at home. He was blessed with an extensive loving and dedicated family, his five children, Sons; Scott Taylor, partner, Nela Bennett; Troy Taylor, wife, Dawn, Son, Erik Taylor. Daughters, Belkiss Rodriguez and Juli Silva. Ten grandchildren, Judd, Scotty, Brianna, Christian, Nicholas, Raven, Zachary, Jenna, Anthony, and Taylor. Three great grandchildren, Jacob, Olive and Andrea who all adored him, will be forever touched by his legacy, and will continue to carry his love forevermore. He is also survived by his sister Ruth Taylor Moss from Edmonton, KY, and was loved and admired by numerous nieces, nephews and grand nieces, nephews, children of his siblings, who preceded him in death, Guillem Taylor, Allene Taylor Bennett, Lawrence Taylor, Carlo Taylor, Austin Taylor, Maple Taylor Franklin, and Edward Taylor. His long time wish and love for his home state and roots, was to return to the hills of Kentucky and be buried with his mother, Annilee Taylor. Services Dalton Taylor will be Tuesday May 29, 2018 at 1pmCT at Stotts-Phelps-McQueary Funeral Home, 210 Greensburg Street, Columbia, KY, with Chester Taylor and Barney Taylor the officiating clergy. Visiting will be after 10amCT, on Tuesday at the funeral home. Interment will be in Jones Chapel Cemetery, 2700 Jones Chapel Road, Columbia, KY, on Tuesday May 29, 2018 with full military honors presented by Columbia VFW Post 6097. 2018-05-24 - 210 Greensburg Street, Columbia, KY - Photo from Stotts-Phelps-McQueary Funeral Home.